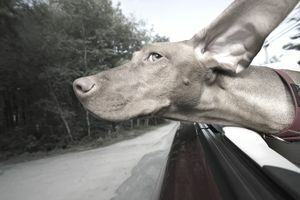 Pet taxi services transport pets to veterinary or grooming appointments on behalf of their owners. Busy professionals with full-time jobs find this type of service particularly valuable because their pets make it to weekday appointments without disrupting their work schedules. A pet taxi business has a relatively low startup cost and can be a profitable way to enter the pet service industry. Here are the steps to take to start your pet taxi business. The first step is deciding whether to form your business as a sole proprietorship, partnership, limited liability company (LLC), or corporation. There are various tax and liability advantages to each type of business. Consult with an attorney or tax accountant who will be able to provide advice on which type of business will be best for your situation. You will also need to look into acquiring any necessary licenses or permits, becoming bonded and insured as a service provider, and complying with any additional requirements from county, city, and state regulatory agencies. Pet taxi services can choose to operate within a specific region, city, or town. Many pet taxi services operate in large metropolitan areas where residents are not likely to own cars, and they may even limit their service to a particular section of the city. Buying a vehicle will be your biggest startup expense unless you already own one that is suitable as a pet taxi. Vans or sport utility vehicles are ideal for carrying large crates, but cars can work just as well for transporting smaller animals. Regardless of what type of vehicle you choose to use, it should be air-conditioned, well maintained, and clean. You should also have several crates of various sizes to accommodate pets being transported—unless you are only transporting one breed size (i.e., toys). While travel by crate is the most common option for pet taxis, you should also keep some dog harness seatbelts on-hand, just in case some owners specify that their animals are not to ride in crates. You will need to draft a standard contract that the pet owner will sign before service is provided. This contract should specifically spell out the terms of service, including cost, pickup point, destination, and drop-off times. The contract should also address any liability issues regarding responsibility for potential injuries while animals are in your custody. List all pertinent details of a pet’s history, such as his age, breed, medical issues including allergies, veterinarian’s name and contact information, and owner’s emergency contact information. The best way to determine your rate for services is to investigate what other pet taxi businesses are charging in your area or in cities of a similar size. The rate may be based on time spent in transit, total mileage, the number of pets being transported, or a combination of all these factors. An additional surcharge might be included to defray expenses for fuel, insurance, and incidentals such as cleaning products to maintain a professional-looking vehicle. Pricing options may also include a drop-off rate, whereby the meter stops at the time when the pet is left at the location and restarts when it is picked up at a later time. You should also consider a stay-and-wait rate, whereby the driver stays to supervise the pet during its appointment. Launching a basic website with your services is one way to ensure your business is discovered by customers who need your services. To cover expenses, instead of hiring a professional, you can set up your own website with platforms like Wordpress. You can also advertise on the vehicle that you are using. Permanent lettering can be applied directly to the vehicle, or customized magnets can be used for a non-permanent option. The vehicle will act as a moving advertisement for your services and will be visible to target customers when it is parked at pet service locations. It is also advisable to create a business card or flyer that you can leave at various pet service locations such as veterinary clinics, dog grooming facilities, boarding kennels, and doggie daycare businesses. Anywhere that pets might need to be dropped off is an ideal location for you to advertise. You should also consider placing print ads in inexpensive local publications or posting on job boards like Craigslist. You will definitely need to create a schedule that you can easily access and update. This can be in the form of a spreadsheet, an app for your smartphone, or an old-school paper appointment book. It is also smart to use a cell phone as your primary contact number because you will be in-transit most of the time. A hands-free device (e.g., wireless earbuds) is ideal for managing calls that may come in while you are driving from one location to the next.